In 1980, the National Women’s History Project was founded in California for the interest of broadcasting woman’s historical achievements. They lobbied, and successfully pushed Congress to designate a special month for women. As a result, March is officially known as Women’s History Month, where women and men pay special attention to discuss and commemorate the world’s greatest feminine leaders. As a Muslim woman, I can testify that Islam has fully laid out the basic rights of women centuries ago. The Holy Quran provides perfect evidence of this— from addressing spirituality, to economic independence, to divorce rights. “Surely, men who submit themselves to GOD and women who submit themselves to HIM, and believing men and believing women, and obedient men and obedient women, and truthful men and truthful women, and men steadfast in their faith and steadfast women, and men who are humble and women who are humble, and men who give alms and women who give alms, and men who fast and women who fast, and men who guard their chastity and women who guard their chastity and men who remember ALLAH much and women who remember HIM – ALLAH has prepared for all of them forgiveness and a great reward ,”(Chapter 33:Verse 36). This verse, out of many more, establishes not only the physical equality between men and women, but the equality in reaching the same spiritual status. To further clarify: women can reach the same spiritual dimension and mentality as men. In fact, the Quran addresses men and women, and gives them the same commandments, guidance, and rights. Additionally, economic independence was given to women many centuries before other nations. Adequate examples to display this would be the passing of the first Married Women’s Property Act in 1882. Before this, British women were unable to hold property without the assistance of their husbands. Similarly, in the United States, the basic right to vote was not given to women until 1920. During the start of Islam, Muslim women helped shape societal rules and regulations. Women in leadership positions are mentioned in the Quran on multiple occasions. Meanwhile, in America, women of color were not able to vote until the 60’s. Therefore, the time gap between when Islam gave women rights is significant when compared to Western nations. It is also worth mentioning the immense amount of respect and honor given to mothers in the Quran. As a result, our Holy Prophet Muhammad (saw) showed profound respect for mothers, to the point where he accounted the phrase “Paradise lies under the feet of mothers.” The list of rights and privileges given to women is practically endless. I, too, am baffled by the spectacular value, dignity, and respect given to women in Islam. Yet, why is it that Westerners continue to remain clueless of these great revelations and Quranic verses? Why are we, “Muslim Women”, labeled as victims of misogyny, inferiority, and weakness? Perhaps it has to do with the inaccurate images and representation of Islam the media bombards the public with. Today’s Islamic countries are immensely corrupt, with extremists dictating the minds of many confused, uneducated Muslims. Countries such as Afghanistan, and Pakistan represent false images of what Islam essentially teaches. However, once upon a time, these nations were not filled with corruption and violence. In fact, most of these countries were initially filled with peace, and were innocent of the chaos between Western empires happening outside their lands. For example, when the Soviet Union invaded Kabul, Afghanistan, in 1979, a series of internal and foreign conflicts would engulf a nation once filled with promises of prosperity. Instead, Afghanistan would be forced to succumb towards Western influence. Thus, the vast exploitation of many nations ultimately forced its’ citizens to retaliate and create their own selfish need of power, which is how terrorist groups such as Al-Qaeda and the Taliban began. The members of Taliban see themselves as religious warriors of their nation, when really, they have only added onto the destruction of their once beautiful nation. The backward treatment of women was installed, where they were locked up, deprived of their rights, and forced to don dark burqas. The point is, these appalling images do not represent the beautiful religion that I am proudly a member of. 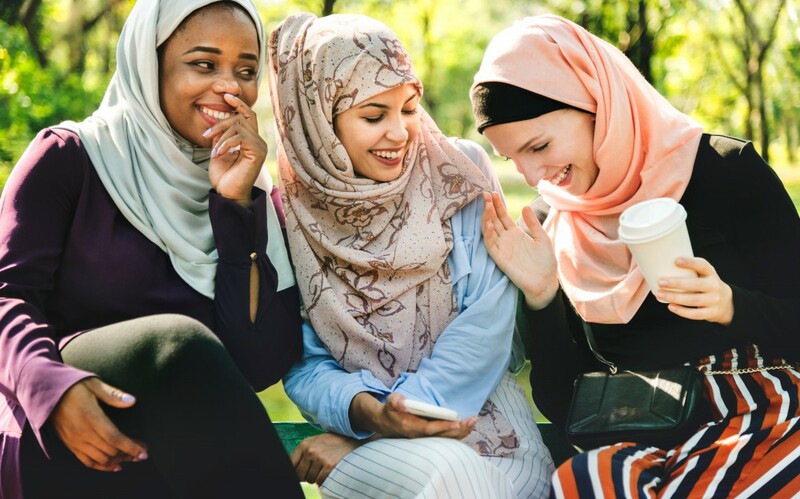 My Islam advocates for the success and empowerment of women, the importance of truth and justice, and the establishing of respect and peace with and between every race, nationality, and religion. However, slow improvements have been swaying the nation, and true images of Islam are resurfacing, with a rise of public awareness. For example, a recent film, “The Breadwinner”, describes the journey of a young Afghani girl, in modern day, Taliban-ruled Afghanistan, who disguises herself as a boy to support her family. The Oscar- nominated movie expands situational awareness of the unyielding power of the Taliban, whilst informing the public of the horrifying conditions and treatment of women. “The Breadwinner” depicts how courage, kindness, and education can ultimately trump evil. So, this upcoming March, let’s use Women’s History Month to focus on expanding our knowledge, and finding truth behind every closed door, peace within every violent storm, and of course, promoting equality in not just America, but in every aspect of the world.